Despite its name, Brighton MA is a Chicago band through and through. The band, www.brightonma.net, formed in 2006 after Scotland Yard Gospel Choir co-founder Matt Kerstein and drummer Sam Koentopp left that band and started collaborating with arranger/guitarist Jim Tuerk. Brighton MA also includes guitarist Joe Darnaby and bassist Jon Ozaksut. Brighton MA is touring in support of its new album, "Oh Lost," and will perform May 2 at The Hideout, 1354 W. Wabansia, Chicago. Stolen Silver also is on the bill. The show starts at 9 p.m., and tickets are $10, available at www.ticketfly.com. I had the chance to talk to Tuerk about the new album. Q - Great to talk to you. Of course, you are touring in support of the new album,"Oh Lost." What goals did you have for the album and do you think you achieved them? We wanted to make a cohesive rock album in a very short time - none of this recording a record for two years sort of business. We had the tunes, and benefited from a three-week block in Engine Studios which recently moved - I think we were one of the last sessions. But with the album now in the bag, we're concentrating on bringing the music across the country. We've been playing a lot of shows with a horn trio (the upcoming Hideout show included), which lends itself to a celebratory vibe, and we have a lot to celebrate. 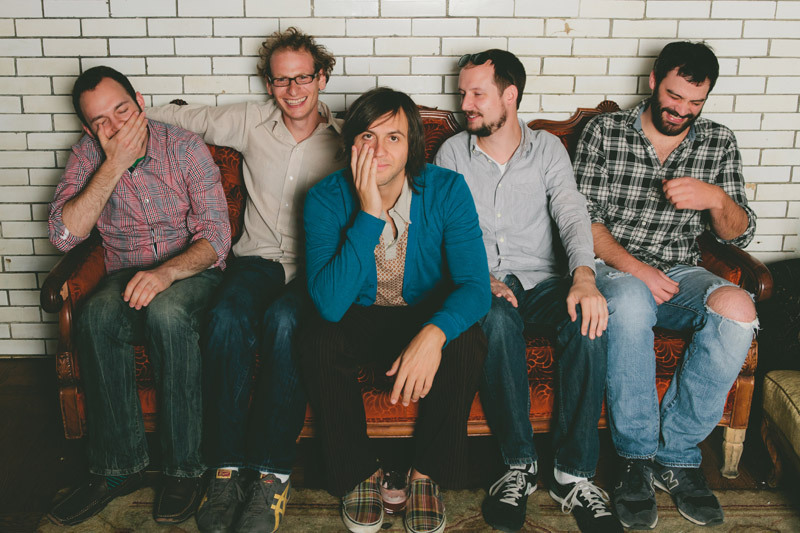 Q - The album was produced by Brian Deck, who has worked with the likes of Iron & Wine and Modest Mouse. How did you hook up with him and what did he bring to the table? After we finished the last EP, ("Billboard Sun"), our manager hooked us up with Brian to do this record. He was instrumental in making it. Every one in the band has strong ideas about how to shape a tune, so what we needed really was a No-man—someone who could we could trust to sift through all of our collective ideas. Brian was that guy for this record, and we hope to bring him back in on our next. Hilariously funny dude, too. Q - Does the band's name cause confusion at sometimes, with people thinking you should be a Massachusetts band rather than a band from Chicago? Or is it just another way for people to discover the band? You know, it does cause a little confusion, but we wanted a band name that had some meaning and depth behind it. Matt carries very warm feelings for it as a place, so we thought that was a nice sort of thing to name a band after. Almost hoping that if you were into us and our music, then we could be that sort of a place for you to go to. Plus we think it has a nice ring to it. So although it is a bit confusing, it's also proved to be inclusive. People come up all the time and talk about how it caught their eye because they lived in Brighton for a time or how they love Boston and such. Q - Matt and Sam left The Scotland Yard Gospel Choir to form Brighton MA. Was the time just right for you to go off on your own? What was your vision for the band? The SYGC was a blast, but with two songwriters, it couldn't sustain itself, so yeah, it was just the right time to go. That said, it was amicable and we're still good friends with those guys - Mark Yoshizumi recorded our last EP and helped with "Oh Lost." But as Matt started to write more with Jim Tuerk who had done some string arrangements for the Choir, the idea of BMA started and we built up songs that were largely in reference to the formative years in Matt's childhood. We've grown up a lot since then. And after a couple personnel changes, we have a pretty tight knit group of guys who are all invested in what we do. Q - The band continues to gain more fans. How have experiences like playing at SXSW and with bands like Spoon and The Arcade Fire helped the band to grow? I think every band would concur that playing more shows makes you a better band. SXSW is such a crazy time: a million bands in 30-45 minute increments everywhere. It's a challenge for sure—the 1-2-3-go! immediacy. We look at playing with bigger bands as a huge opportunity to learn from them musically and to connect with their audience. 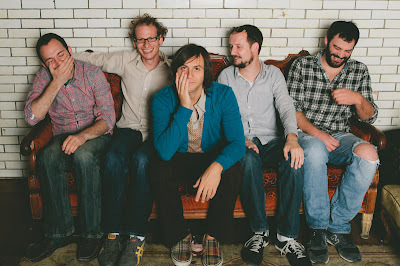 Right after SXSW, we did some dates with Tim Kasher and it immediately gained us some fans because his fan base is filled with genuine music lovers who were willing to give us a shot. Plus, you just get better by being around people like Tim and his musicians on the road. Total pros. Q - How do you think the Chicago music scene compares to other music scenes? Do you have a favorite place to play in Chicago? We love it here. There are so many great bands with great people in them. I mentioned us playing with horns - that's something that you could do in any city of course, but we have a vibrant jazz scene here with some unique players. It seems like everyone here is open-minded and generally open to anything that's good music. And that type of support from the musician community is nice to lean on when you need it. Q - The band has gained comparisons to The Walkmen, The Flaming Lips and Bob Dylan. Do you consider them influences? How would you describe your music? Sure! Glad to be considered in that great company! Our music is all over the rock & roll map. It has elements of folk, noise, pop, classic, grunge and new wave. But while we draw from all these sources, we keep the focus on what serves the individual song with an unyielding priority given to lyrical content. We hear The Walkmen referenced a fair amount, and yeah, a couple of us guys are really into what they do. But we bring a lot of different influences in - our drummer is a jazz guy, our guitarist Joe is kind of a metal head, Boston's the Dylan scholar, and so on. That's always been a big value to this band: all the disparate influences we bring informing our collective love of what we're trying to make. More than 20 years after opening for R.E.M., the members of Atlanta band Drivin N Cryin are proving they have plenty more to say. The band, www.drivinncryin.com, just released "Songs From The Psychedelic Time Clock," the third of four EPs the band plans to release over a 12 month period. Each EP shows off a different facet of the band. Drivin N Cryin is sure to play songs from the new EP when it performs May 30 at Schubas, 3159 N. Southport Ave., Chicago. Miles Nielsen & The Rusted Hearts are also on the bill. The show starts at 9 p.m. and tickets are $15 in advance, $18 at the door, available at www.schubas.com. I had the chance to talk to Drivin N Cryin frontman Kevin Kinney about the band's current activities. Q - Great to talk to you. Of course, the band has released three of its four planned EPs so far. Is it easier to make and release music this way rather than concentrating on a full record? What do you see as the benefits? It's a lot more challenging in some ways, but also somewhat freeing in others. The EP lets me focus on a certain style or head space I'm in at the time. What usually happens, and what most people hear is a collection of the 20 or so songs I've released this year. We sit in the studio every few years and pick the 11 that would be presented as an album, which usually leads to confusion and criticism about how many different styles we are projecting. Q - Which EP have you enjoyed working on the most? Can you provide any clues as to what people should expect on the next EP? Well, as always the one we are working on now is my favorite. It is I guess, best described, as Bad Company meets Grand Funk at Jimmy Page's house and sits around playing 45's sitting on the shag carpet, loud as hell, until Jimmy's mom flashes the hallway light and screams, 'Turn that bloody racket down!!!' Does that give you a clue? Q - Kevin, you are originally from Milwaukee. What made you want to move to Atlanta and what did you think of Atlanta's music scene when you arrived there? I moved for the jobs. I worked as a laborer at the sewage plant for a couple of years. The music scene was not that different than anywhere else in America's big cities, but I really got turned on to the 'Kudzu Circuit ' bands !!! It was a whole scene from the southern states, bands like R.E.M., the dB's and Fetchin Bones loosely based on the psychedelic movement of California, i.e., The Byrds, the Beau Brummels and The Velvet Underground . The Milwaukee sound was a little more factory industrial aggression sounding. Q - The band's album "Scarred But Smarter" was well-received and helped the band land a contract with Island Records. Were things happening faster than you expected? When the band opened for R.E.M. and sold out the Fox Theatre in Atlanta, did you think Drivin N Cryin had finally made it? What kind of lessons did the band learn in opening for R.E.M.? R.E.M. taught us mostly about trying to be a democratic entity, they all had a say in the way the band worked. We tried that, but decided later not all bands can work that way. I am far to aggressive in where I wanted to see Drivin N Cryin go. I wanted a balance between making it and not making it. When our most popular record, "Fly Me Courageous," was released, that was a difficult year for me and I didn't think Drivin should try to sustain an approach of trying to sustain mass recognition. I don't want you to own all my records and see every show, but if you could just buy a couple records and come to see me once in a while, I'd be great with that. Q - It appears that Island Records didn't really know how to market the band. What was the problem and do you think it is easier for a band these days to get its music heard? Is the fact that Drivin N Cryin is releasing these four EPs on its own record label an ideal situation? I think the EPs are a great way to be heard and it's not a commitment on the band or the listener. I can't listen to 12 new songs of any artist in a row.I love the digital convenience coupled with the up and coming hunger for vinyl. We will be releasing the fourth one on vinyl, "Songs For A Turntable." Q- You also have released several solo albums. How do you view your solo projects? Are they songs that you feel don't quite fit on a Drivin N Cryin project? Anybody that you still want to collaborate with? I would love to work with Neil Diamond. I'm not joking!!! I have taken a break from the solo career for a bit. That being said, I just released a new record I recorded in one sitting at Chris Griffins house after a 20- hour drive called, "Songs For A Late Night Morning." Q - After the four EPs are released, what will Drivin N Cryin do next? Four more EPs? The Chicago music scene is richer as a result of Virginia native Elizabeth Chidester deciding to call Chicago home. The multi-talented Chidester, www.elizabethchidester.com, who also is an actress, is keeping busy these days. 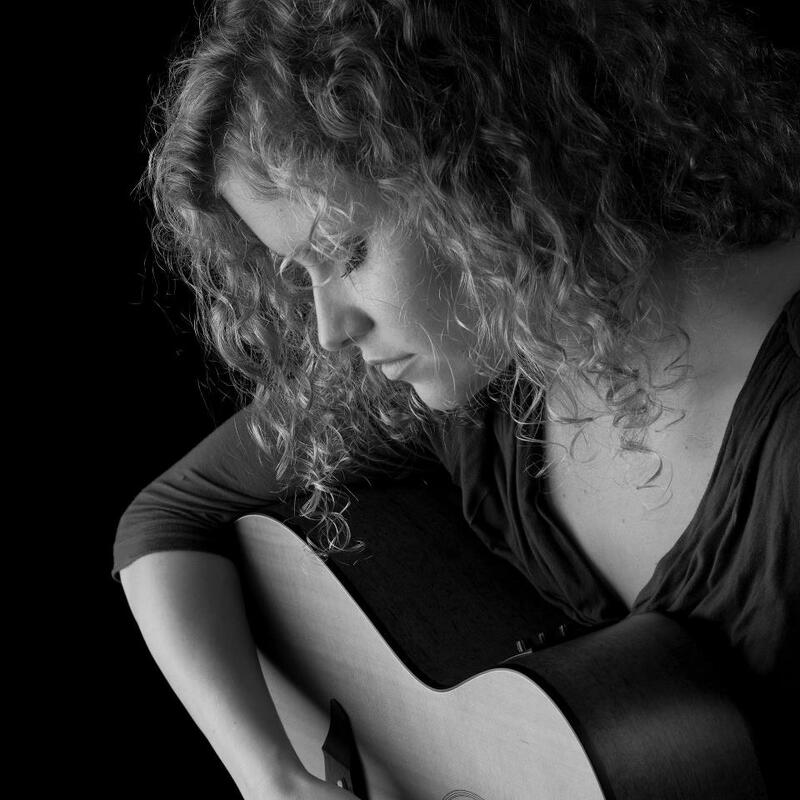 At 8 p.m. April 20, she will perform jazz standards accompanied by guitarist Jarvis Raymond at Via Gelato, 1853 Tower Drive, Glenview. In addition, at 10:30 p.m. May 4 and 25, Chidester will perform as part of the Chicago Beast Cabaret Spring Series at The Greenhouse Theatre, 2257N. Lincoln Ave., Chicago. More information is at www.beastwomenproductions.com. Then from May 10 to June 2, Chidester will take on the role of Glinda in the New American Folk Theatre's production of "The Marvelous Land of Oz," the second book in the original Oz series by L. Frank Baum, at The Den Theatre, 1333 N. Milwaukee Ave. Chicago. Tickets are available at www.landofoz.brownpapertickets.com. I had the chance to talk to her about her latest projects. Q - Great to talk to you. You're originally from Virginia. What made you want to move from Virginia to Chicago? Has the city lived up to your expectations? I love Virginia, and will always love Virginia. I will go back there someday when I find nature and having a family to be more important than meeting people, making music, and having adventures. I worked on cruise ships as a lounge singer for two years, and between my contracts, I wanted to visit different cities in the U.S. I moved to NYC right after college before working on cruise ships, and I wanted to see if I liked any city better than NYC. I loved Austin, where my brother lives, and I loved Toronto. I also loved San Fran and New Orleans, but for tourist reasons. I visited Chicago last, and I found that the work/play energy was balanced, I would be near water, there was an ample community supporting the arts, reasonably cheap cost of living, and great public transit. My friends that were living here seemed happy. I also felt a strange feeling in my body around the 5th day of my visit that this was were I needed to be. Q - You're working on an EP that is set to be released this fall. What should people expect from the EP? What are your goals for the EP? The EP will be around six to seven of the songs I feel are the strongest that I've written since graduating school. I would like for there to be various percussion elements, mostly acoustic based sounds. I like for it to make people feel, think, dance, something to meditate to, or to have on in the background of their commutes to work. I'd like for it to be an introduction of myself to the Chicago community, as well as tour with it in some surrounding cities, perhaps take it back home to the east coast as well. Q - You are also an actress. Which do you prefer, performing as a musician or performing as an actress? Or do you need both in your life? I have always considered myself to be more of a musical theatre actress. I have relied on music to be on stage in that capacity, so I would definitely consider myself to be more of a musician. However, I do enjoy being in an ensemble and telling good stories, and developing a character is really interesting to me. I'd say I'd like to be in two productions a year if possible. Right now, I'm Glinda in The New American Folk Theatre's "The Marvelous Land of Oz," the second book in the Oz series. Q - You seem comfortable in any music genre. Is there a particular genre you prefer and why? I really love "American" music. Music that is based in the blues, jazz, folk, bluegrass. I have a love for funk and Motown as well, some prog rock. I also love what England has done with "American" music. They actually do it better in some cases. Q - You recently teamed up with fellow Chicago musician Jeff Brown for his song, "To The Ends of the Earth." What do you think of the Chicago music scene and how do you think you fit in it? Jeff is a wonderful guy and musician. He's been so helpful and encouraging, and I'm happy to know him. I think that the Chicago music scene has a lot to offer in terms of people with the desire and talent to perform. I know that this city is very big on theatre, improv comedy, and sports, but the music scene seems to be in a reemergence. I don't see Chicago becoming Austin, with live music in every bar, but I think the music scene could equal in prevalence to the other performing art forms. I suppose the most daunting thing about gathering an audience in Chicago seems to be getting people to have time, or desire, to see your show over other kinds of entertainment in the city. Performers are too busy performing to see other performers at times. We need to reach the people who aren't aware that there is entertainment outside of what they are advertised on the internet or television, outside of the name brand. All the same, the internet is an invaluable tool for the local musician. Q - Do you have any dream projects, either as a musician or actress? I would love to tour the nation someday, and I'd love to perform at SXSW and all the various summer festivals. I've also put together a female old time/soul trio called "The Cherry Trio" with a couple girlfriends. We have a show at Uncommon Ground on Clark on July 6th. I'm very excited about that. I'm also looking forward to performing jazz standards in various restaurants in the spring and summertime with jazz guitarist Jarvis Raymond. 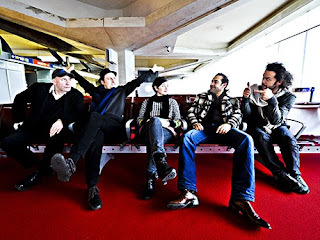 For more than 15 years, five-piece French band Paris Combo has been gaining worldwide attention for its eclectic blend of jazz, world music and alternative pop. The band will likely garner even more fans with the recent release of its fifth studio album, the aptly named "5." Paris Combo, www.pariscombo.com, will likely play songs from the new album when it performs April 21 at City Winery, 1200 W. Randoph St., Chicago. The show starts at 8 p.m., and tickets range from $25 to $35, available at www.citywinery.com. I had the chance to talk to member David Lewis (trumpet, flugelhorn and piano) about the new album. Q - Great to talk to you. "5" is your first album in nine years after the band had taken a four-year break. Did you feel additional pressure since the group hasn't released an album for a while? What were your goals for the album and do you think you achieved them? Rather than feeling any pressure, we just felt lucky to be able to come back to the group with renewed inspiration and pleasure in playing with one another. We were also lucky in meeting the album's producers (Dominique Blanc-Francard and Bénédicte Schmitt at Labomatic Studio), who brought a fresh approach to the recording/mixing phase. One of our main goals was to co-write everything as opposed to just arranging each other's tunes like we did in the past, the idea being to go directly to the essence of our collective sound. This meant more time in the rehearsal studio than usual and a longer gestation period for the album, but we are very happy with the result and we feel even more like a group than before. Q - Why did the band take a hiatus and do you think it helped the band? The band needed a break after 10 years of intensive touring, bearing in mind that Belle, Potzi and François had already been performing together in other bands since 1990! We had gone from playing cafés, cellars and barges in Paris to touring the world in quite a short time and I think everyone needed the chance to pursue other projects including, in some cases, starting families. The hiatus enabled us to come back to the band with renewed enthusiasm, but with the experience gained during the first part of our career. Q - The members of Paris Combo come from very diverse backgrounds. What makes it all work? At the outset, there is a common love of jazz in its various incarnations, but each group member is multi-faceted. Potzi, our guitarist, is emblematic in that his love for Django Reinhardt is obvious, but he also played in rock 'n' roll groups early on and his North African background is obvious in some of our songs. Then there's Belle's love for the French chanteuses of the '30s and Rumanian music, but also her background in the French post-punk movement. When I met the group, coming from a classical and jazz viewpoint, it seemed obvious that we could combine different musical influences and link them together. Q - I'm sure you've heard your music described in a variety of ways. How would you describe your music? Who are your biggest musical influences? Our music is a sort of hybrid pop (in French) with a streak of jazz running through it. How's that?! The way in which Belle presents the show also has a strong cabaret feel to it. Probably not the simplest description. Django Reinhardt and Duke Ellington remain big influences, but Belle would also mention the B52's and The Specials. Q - Over the years, the band has played in many different countries. Is there something about the band's music that makes it able to connect with so many different audiences? Belle's stage presence and voice combined with the group's musical world make it possible to communicate with audiences even when there is a language barrier. We try to have people up and dancing by the end of the show, which creates another strong connection. Q - What did the band learn playing the cafes and barges along the Seine? How do you think the band's music has changed since first forming? The atmosphere in some cafes is really part of the overall performance and hopefully you carry some of this away with you to more formal surroundings. I also think this is where Belle's repartee comes from. Playing on barges taught us that even the Seine can be quite rough in bad weather! Q - Does the band have any dream projects or collaborations ? Bowl in 2011. A film project involving the group would also be fantastic! Chiara Mangiameli earned rave reviews last year for her performance in the theatrical show "Cascabel" with master chef Rick Bayless. Now, Mangiameli, www.studiomangiameli.com, will bring her production, "Quejios - Cries In The Air," to the Vittum Theater, 1012 N. Noble St., Chicago. The production, www.vimeo.com/61942237, will run from May 31 to June 2, and tickets are $25 for adults, $15 for children age 12 and under, available at www.brownpapertickets.com. I had the chance to talk to Mangiameli about her new production and the flamenco dancing scene in Chicago. Q - What was your vision in developing "Quejios - Cries In The Air?" Has it come together as you envisioned? "Quejios - Cries In The Air" was inspired by "cante flamenco" (flamenco singing), which I see not only as the starting point for most flamenco dances, but also as one of the most soulful and expressive styles of folkloric singing. It tends to get under your skin and much like electricity, its presence is felt in the air long after it stops. My hope is to connect to the audience in some way and for the images they see or the music they hear to linger with them for a little while. As with most things in life, a vision that you first start off with might evolve in ways that were unexpected. My students are a big part of my process in putting a show together. Their personalities, a random mistake in class, anything might inspire a new idea, a different direction. I'm not sure anything comes together the way I first envision it and I'm not sure that I'd have it any other way. Q - Alfonso Cid is a guest singer in the production. What do you think he adds to the project? I met Alfonso years ago while performing with Las Guitarras De España and I've wanted to work with him ever since. 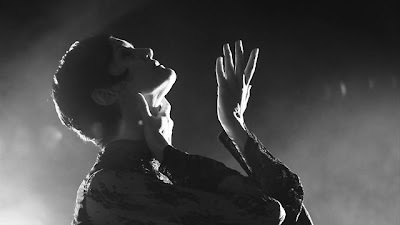 He grew up with flamenco in his native city of Seville, Spain, and has also been through a very rigorous training process to learn vocal technique and the history of various "palos" (song forms in flamenco). He adds tremendous versatility, knowledge and of course the kind of power that is necessary to accompany several dancers, while always providing the appropriate mood and emotional backbone to fuel the dance. Q - How do you think the flamenco dancing scene in Chicago compares to other parts of the country? What sets flamenco dance apart from other forms of dance? I think the scene in Chicago is relatively small but growing all the time. There seems to be more interest in the dance and guitar element and not as much in the singing as you might find in cities such as New York or Albuquerque. Flamenco in its truest and most basic form is meant to be improvised and improvisation relies on a tremendous ability to listen to and communicate with the guitar and the singing. All of this requires a certain amount of relaxation and ability to be truly "present" in the moment and in the music. When you experience that yourself either as a performer or as an audience member, you experience something unique and almost magical. Perhaps that's the what they refer to as "duende." The best part for me is the rhythm: the musicality and dynamics that you can achieve not only with your feet but with a hand movement, a shrug, anything that shows that the music is alive in you and working its way through the body. My students teach me that not everyone learns the same way, everyone has their own way of processing information. They constantly remind me to be patient and to maintain a sense of humor about it all. Q - You earned rave reviews for your work last year with Rick Bayless in the Lookingglass Theater production of "Cascabel." How was that experience and would you do something like that again? The experience was phenomenal. After leaving the stage many years ago I was presented with an opportunity to use my acting background, singing and flamenco dance all in one role. My life felt like It was coming full circle…. not something you experience very often. I got to work with my very dear friend and accomplished guitarist Carlo Basile, eat some delicious food with Rick Bayless and be a part of Chicago's most innovative and creative theater company. I'm always open to interesting and challenging projects…. Liverpool quartet Clinic continues to make eclectic, challenging music after the four members first donned their masks 16 years ago. The band, www.clinicvoot.org, is currently touring in support of its seventh full-length album, "Free Reign." An alternate version of "Free Reign," entitled "Free Reign II," is also available digitally and features a set of alternate mixes of the original album by producer Daniel Lopatin. Clinic will perform April 24 at Lincoln Hall, 2424 N. Lincoln Ave., Chicago. No Joy also is on the bill. The show starts at 9 p.m., and tickets are $15, available at www.lincolnhallchicago.com. 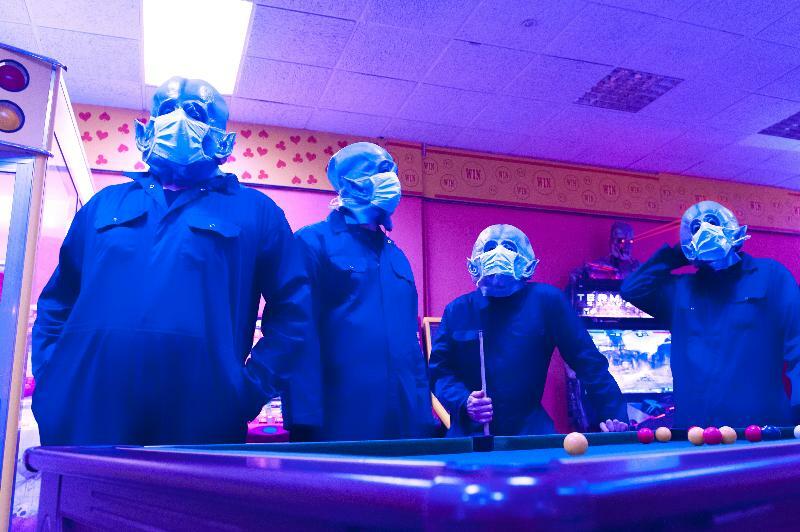 I had the chance to talk to Clinic frontman Ade Blackburn and bassist Brian Campbell about the band's latest activities. Q - Great being able to talk to you. "Free Reign II" was recently released. What was it about Daniel Lopatin's mixes of the original songs that made you want to release a second album? How do you think they compare with the original songs? Ade - Our label Domino introduced us to Daniel's work, which we'd heard good things about so we were keen to see his take on the songs. It was interesting to hear new complexities come through in his mixes, and it was new for us to be able to present the audience with two versions of the LP, which is something we've never been able to do before. Brian - We felt that what Daniel brought to the mixes was a fresh approach and he helped open the songs out to give them a "je ne sais quoi" magical feel. Obviously working with somebody with Daniels talent allows you to go to places you'd never thought of, and that is what has been inspiring and exciting. Q - "Free Reign" has more of an electronic sound to it than your past efforts. What made you want to go in that direction? Are you a fan of electronic music? Ade - Yes, I've always loved Kraftwerk and Yellow Magic Orchestra and the rest of the band like electronic music too, so it felt like it was about time we took things in that direction and started to experiment more with synthesizers and samples, etc. Brian - I think we have always flirted with electronic music on our past records. We have also been fans of acts such as Suicide and Silver Apples along with more recent discoveries like the reissue of Gary Sloane and Clone's "Harmonitalk" and Suzanne Ciani, so it kind of felt like a natural progression to delve further. Q - Clinic has been together for 16 years this month. How do you think the band's music has evolved in that time? Ade - In the beginning we started out with a more garage/psychedelic sound and as time has gone on we've been able to play around with different styles, and incorporate jazz, folk and now electronica. Brian - I think it's evolved at our own pace and nobody else's. And that's important. We've stuck to our guns and avoided being a part of 'scenes' in order to remain unique and never changed for 'the sake of it,' but only when we felt comfortable to make those changes. Q - The band received a lot of attention with its sophomore album, "Walking With Thee." You guys sold out most of your shows in the United States after touring here for the first time. Why do you think that album resonated so much with people? Ade - There was a lot of anticipation for our second record in the U.S. following the positive response to "Internal Wrangler," so that definitely helps to get people's attention from the get go. Beyond that I'm not really sure, but looking back "Walking With Thee" was very rhythmical and had a spacial quality to it. Brian - I think after the debut album "Internal Wrangler" was so well received by critics, there was a real sense of anticipation about what the band would release next. The U.S. profile of the band was lifted further by an appearance on "The Late Show with David Letterman" playing "Walking With Thee". Q - How do you think American audiences compare to the rest of the world? Did you ever feel pressure to move from Liverpool in order to gain a bigger audience? Ade - We've never really felt the need to move away from Crosby and Liverpool, and wherever we get to play around the world, we're just appreciative that people keep welcoming us back and want to hear us play. Brian - American audiences ‘get’ what we are about and what we are trying to convey musically. They are definitely more in tune and have a great taste in music. I think generally their musical knowledge and acceptance is far superior to that of other places around the world. Whilst traveling around Europe and The States, you only have to turn on the radio to hear this. To hear challenging and interesting songs on the radio in Europe is somewhat of a rarity. However, we love the eclectic and varied stations you have here. We have never felt pressure to move away from Liverpool (apart from the bad radio stations.) I think being comfortable geographically is a good starting point to being creative. Q - Do you think it would have been harder to get people's attention if you didn't wear the masks? What is the reason for the masks in the first place? Ade - The masks were probably quite helpful to get people's attention in the beginning. We wore the masks to remove that sense of expectation you get with a typical band format but also in homage to bands like DEVO, Crime, and The Residents. Brian - We wanted people to focus directly on the music rather than the individuals that made up the band. Some people join bands to seek attention. We joined the band solely to create music, so seeing your face in a music magazine wasn't the goal, having the music written about - was. It was also a great way to stand out from all the other bands at the time, and it also gave journalists something else to talk about too. I think people in America quite liked the "British eccentricity - Monty Pythonesque" element that it has and they also saw the funny side of it. Q - The music business has changed dramatically since the band formed. Do you think it is easier or harder for a band to make music these days? What advice would you give to an up-and-coming band? Ade - Things have changed a lot and it's got harder for us to make music and to try and make a living out of it. My advice would be to keep realistic expectations and just work really hard at it. Brian - I think it's much easier to make music today as it's very easy to literally have Abbey Road in your bedroom with whatever instruments or amps you desire to create new music on a fairly cheap laptop and some plug ins. When we started out, we'd save up for months so we could afford a day in a studio to quickly thrash out six to eight songs. Time was of the essence as studio time wasn’t cheap. Today in comparison, the recording process is relatively inexpensive and without those time constraints, it's easier to experiment and hone your craft in the luxury of your own home. But it is definitely more difficult to make a living out of music today. The business model has altered drastically and it is still changing. The way the music is made and compiled and the way it is ‘acquired’ by the listener has changed dramatically. Less money is coming into the industry so less risks are being taken by labels. Less bands are being signed and therefore new challenging music will have to find different ways to reach us. Cottage industry is and will play a big part in getting new and exciting music out there. The advice I would give to an up-and-coming band is to stick to your instincts. Don't let people change your opinions. If you think something sounds good, then..... IT DOES! Q - What's in the band's future? Do you think Clinic will be around for another 16 years? Do you have any dream projects or collaborations? Ade - All I know is that I've got a lot more music in me, and endless ideas about what to try next. We'll keep going until someone politely asks us to stop. Brian - Hopefully Clinic will still be around in another 16 years. We've past the seven-year itch a couple of times now, so it would be clichéd to split up due to "musical differences." I guess we'll keep doing what we’ve always done. Just making music that we enjoy and hope that others do too. Chicago alternative rock band Counterfeit i is a group that continues to take musical chances. 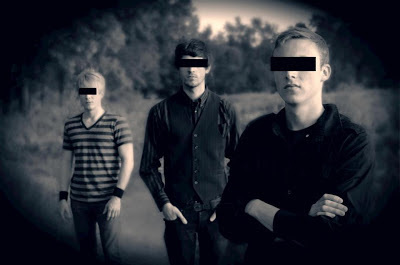 Those who were introduced to the band, www.counterfeiti.com, through its last album, "A Glimpse, an Eclipse," might be surprised at the direction the band has taken with its new EP, "Still." I had the chance to talk to Counterfeit i frontman Derek Allen about the new EP and the band's other activities. Q - Great talking to you again. You have a new EP, "Still." How do you think it compares musically and lyrically to your last album? You too! "Still" is the polar opposite of our last album. It's more organic and laid-back. The goal with our last album was to make a sort of disjointed and raucous listening experience, while "Still" is much more steady and flowing. Lyrically, it's more abstract. All of the songs, except for one, are made so that you can't really understand the lyrics. I wanted the listener to be able to interpret what they hear and juxtapose their own ideas for the words. Q - You say that you would like the album to be a cathartic experience for the listener to overcome the negativity in their life. You yourself suffer from chronic depression and anxiety. Was it cathartic for you to make the album? This was probably the most cathartic creative experience I've ever had. I was going through a lot at the time of writing "Still," but I was very much at peace with these songs and the writing and recording of them. The whole process was very therapeutic. Q - The album was produced and engineered by Sean Payne. How did you hook up with him and what do you think he brought to the EP? Sean has been friends with our label, Bit Riot Records, for a long time, so he was the first person we approached for the mixing and engineering side of things. He definitely helped me bring out some things in the mix that I buried for whatever reason in the demo mixes. Him and Nikk Hynes at Glitch Mode Studios did a great job on the masters as well. They sound really warm. Q - You guys will be doing a 20 city national tour starting in mid June. Are you guys looking to gain a bigger audience? Do you think now is the right time to try to get your music out to more people? That's what we're trying to do, like most bands, ha ha. I feel like "Still" is much more accessible though it still is experimental. I honestly feel like it's the best thing Counterfeit i has done yet and I'm really excited to see where it goes and what it does. Q - How do you think the band has evolved since it first formed and how do you think it will continue to evolve? I think we've just matured musically. The writing has gotten better, I feel at least. We've gone from a post-punk kinda band to a more shoegaze/experimental sound. But who knows where it'll go from there, ha ha. Q - What are your short-term and long-term goals for the band? Is the band where you want it to be these days? We're just wanting to get on the road again and play for people. We've gotten a great reaction to the new songs and hopefully it continues. Q - What do you think makes the band stand out? I think we have an honest desire to be ourselves. Sadly, I feel like that's lost in a lot of music these days. But we also try to experiment in order to be able to express ourselves in different ways. We're definitely not a conventional rock band.